Based on the exciting Bluewater Comic by Clay and Susan Griffith, Allan Quatermain journeys deep into the unexplored, mysterious forests of equatorial Africa to repay a debt of honor and avenge a wrong. He encounters the dangerous Lord of Locusts, Bwana Nzige, a slaver from Zanzibar. Nzige is a capricious dictator who is creating an empire built on ivory and blood. 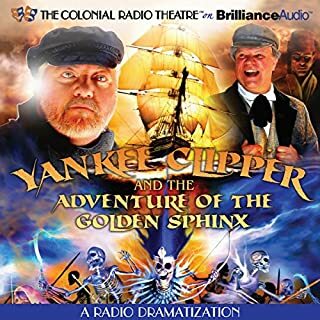 A thrilling adventure from the award winning Colonial Radio Theatre on the Air! 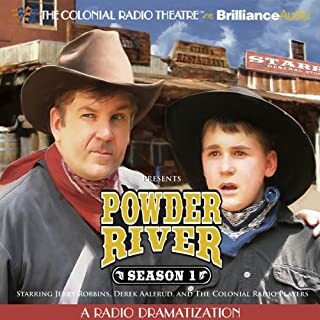 Powder River concludes its ninth season with six exciting episodes! Highlights include: "The Shaman" - Parts 1 and 2: Britt and Chad ride with Captain Grant sent out to capture the Chiricahua Apache's shaman, Geronimo, who has been raiding settlers in New Mexico and Northern Mexico. In "Dan's Mountain", Britt and Chad arrive at Dan MacMasters' home in Rancho de la Nación to settle the estate, only to find a local businessman has already claimed it in the two years since the Marshal's death. In the explosive ninth season of Powder River, Britt and Cheyenne cross the Rio Grande in pursuit of Clegg's Gang, who have taken Levi, Andy, and Laurel prisoner, leading up to a fiery shootout on the streets of Camargo. In Clearmont, Erica is threatened by an outlaw for printing a story about his intimidation of ranchers. He wants a retraction, and threatens to burn the Bugle to the ground if she fails to do so. In Season Two of Powder River, Britt MacMasters has once again put on the badge of United States Marshal and returns to Clearmont, Wyoming after several months away on the trail with his son Chad. There he finds a new Sheriff in town - who doesn't like the idea of a U.S. Marshal living in his jurisdiction but soon calls on the famed Marshal for help when the Sioux attack a stagecoach. A season highlight is a three part episode where General George Custer recruits Chad to scout for him as he heads toward the Little Big Horn, causing Britt to follow in pursuit. Orphaned John Trenchard grows up in the village of Moonfleet with his aunt, entranced by the local legend of the ghostly Blackbeard, who rises each winter night to search for his lost diamond. While conducting his own hunt for the treasure, John is trapped in the church crypt and discovers the true secret of the village: smuggling. Taken under the wing of the gruff innkeeper and chief smuggler, Elzevir Block, John begins a dangerous adventure which will see him in a hair-raising chase along a precarious cliff path and deciphering a hidden code in an ancient castle. Moonfleet is a thrilling story of revenge and betrayal, of loyalty and great sacrifice, but it is above all a story about friendship. ©2008 The Colonial Radio Theatre. (P)2008 Brilliance Audio, Inc. It was a beautiful story, and actors outdid themselves with the embodiment of their characters. 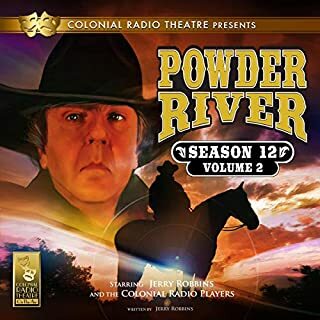 I'm glad I listened to this story; however, it's not one I would listen to often like some of the other Colonial Radio Theatre productions like Powder River, Beacon Hill, and Royall House. It is s great story for those who love treasure, pirates, and enduring friendships. Smuggling is best kept secret! 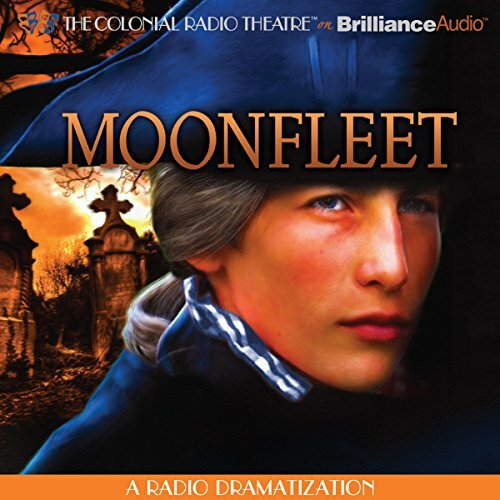 What made the experience of listening to Moonfleet the most enjoyable? CRT's overall production and talented actors capture both character and story. And within a short time you as the listener are totally hooked. This is one fine production. What other book might you compare Moonfleet to and why? I'd compare this production to Kidnapped and Treasure Island from Robert Louis Stevenson or Fenimore Cooper's The Last of the Mohicans. 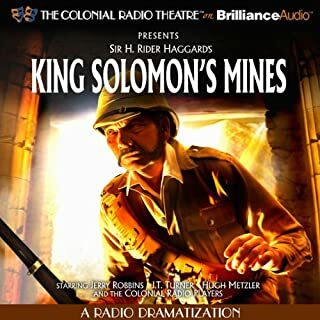 King Solomon's Mines by Rider Haggard the tales of the Scarecrow/Dr. Syn from Russell Thorndyke come to mind also. 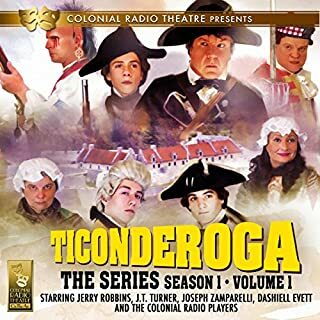 Each of these fine works are also available from the Colonial Radio Theater in one form or another. Fine listening and well worth the money. Listening to Jerry Robbins and the Colonial Radio Theater is top notch. I've listened to a dozen or more radio productions from CRT and I've never heard a bad show. A few shows are available from their website for free just to try. Colonial Radio Theater does a super job in the telling of this story. The story held my interest. The characters are so real. There are some sad parts but good triumphs evil! My family loves the dramatization. Thanks Colonial Radio Theater for another great story! This isn't a story I especially enjoyed. The performance was decent though. I am aware the book differs somewhat from the drama but the drama shows me I wouldn't like the book. 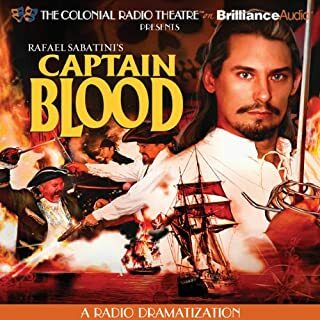 The Colonial Radio Theatre is always worth a listen. A classic story, retold well. Thanks! worth every penny. This is an inexpensive audio book and it's the best 4 pound I've ever spent. i really enjoyed the acting and the sound effects. What did you like most about Moonfleet? What was one of the most memorable moments of Moonfleet? Memorable performance by Colonial Radio Theatre Players. Memorable for all the wrong reasons!